The PH-BFR (Rio de Janeiro) was a B747-400M (Mixed, also called “combi”). It could carry both passengers and freight on the maindeck. 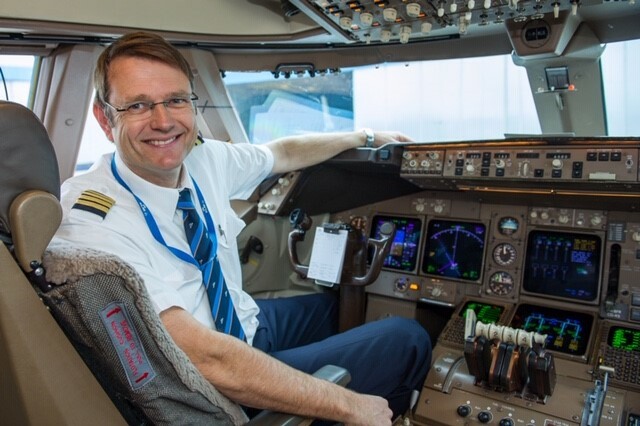 In 1994 I was co-pilot and assistant-technical pilot and member of the KLM acceptance team. On January 11th 1994 we made the first so-called C (Customer-) 1 flight with the BFR. A testflight, lasting 3 hours and 29 minutes from Paine Field at Boeing Everett. 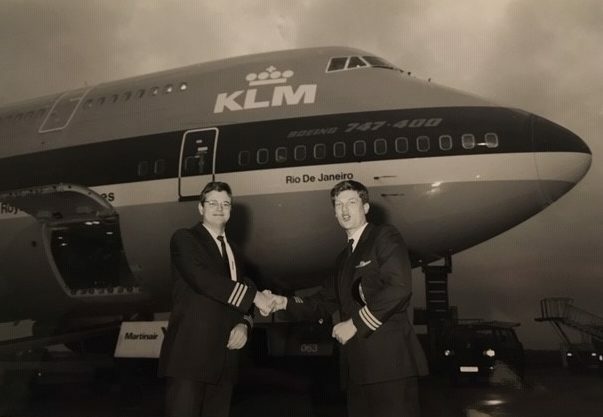 On January 14th , 1994, the acceptance was completed and I flew to Amsterdam with technical pilot captain Ernst Meijer, second co-pilot Peter Boender and the rest of the acceptance team in exactly 9.00 hours. Eric Akker (left) and Peter Boender just before the delivery flight to Amsterdam. Because of my history with the BFR, I was asked in 2017 to do the phase-out flight. On December 6th 2017 KL9879 (with ATC callsign KLM747) was her last flight from Schiphol to Twente airport. Under the watchful eye of many spectators at the spotters Hill and part of the old acceptance team of 1994, it was a privilege to make this last landing. The plane was dismantled at Twente airport. The BFR has made 14.421 flights (and a total of 124.375 flight hours) in 23 years and 11 months of service. From that I have made 45 flights. As someone said: “from the cradle to the grave” …. We‘ve come full circle. I have made a special final entry in the technical log that day. Posted in Background, Boeing and tagged 747, aircraft, airport, aviationtag, klm.